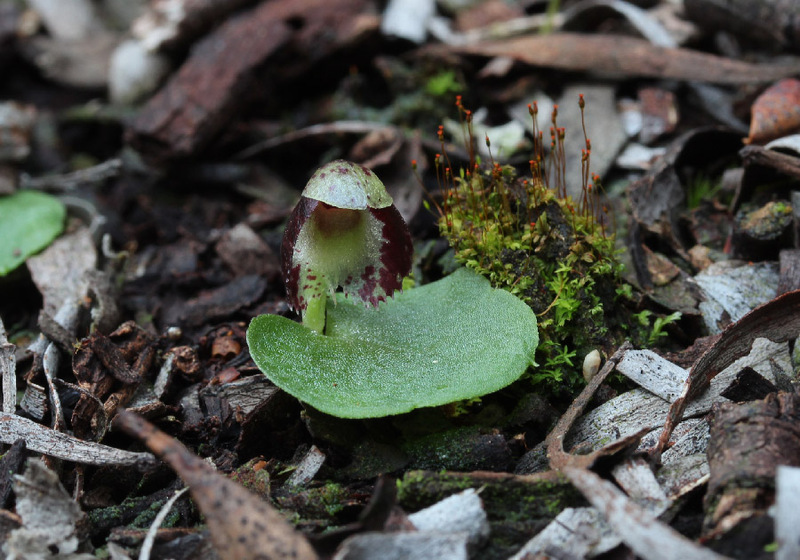 Helmet orchids are very small orchids. 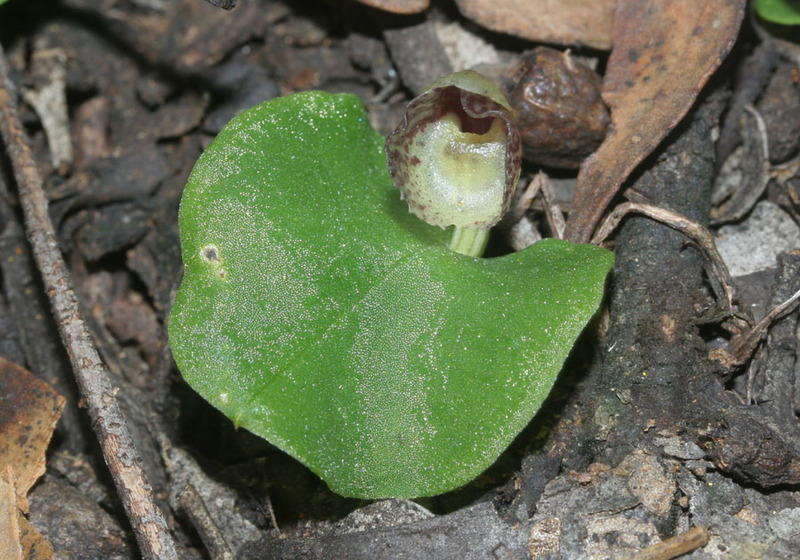 The leaf is up to 3cm across with flowers the size of a marble at around 0.5-1cm. 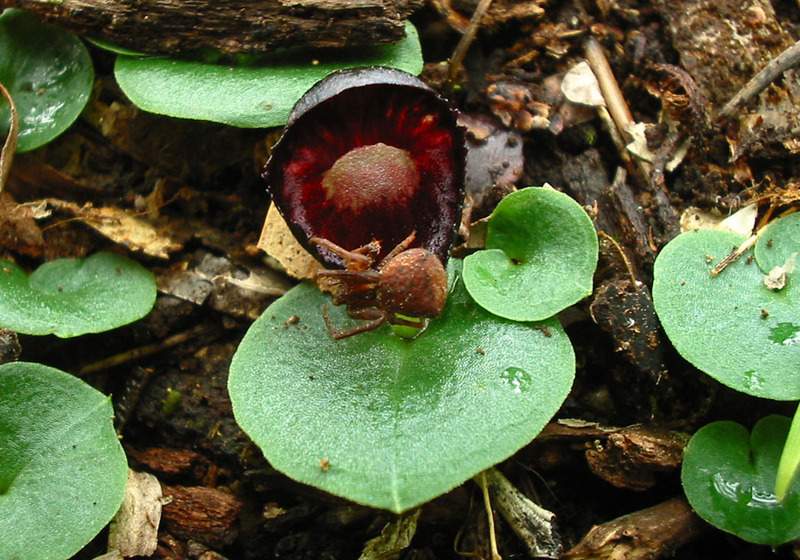 They can form huge colonies, with only a small percentage producing a flower. 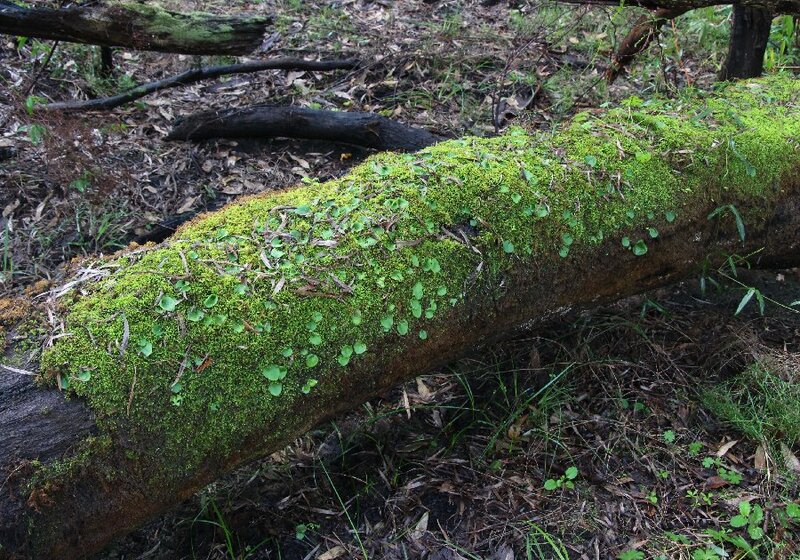 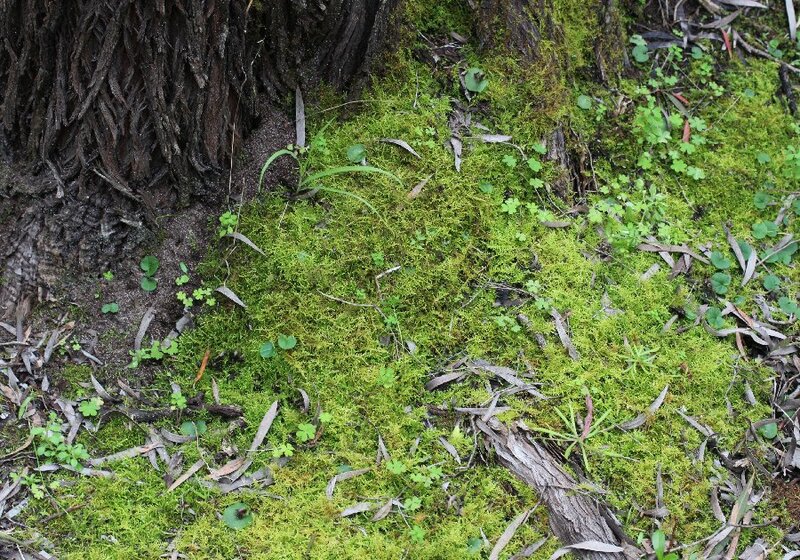 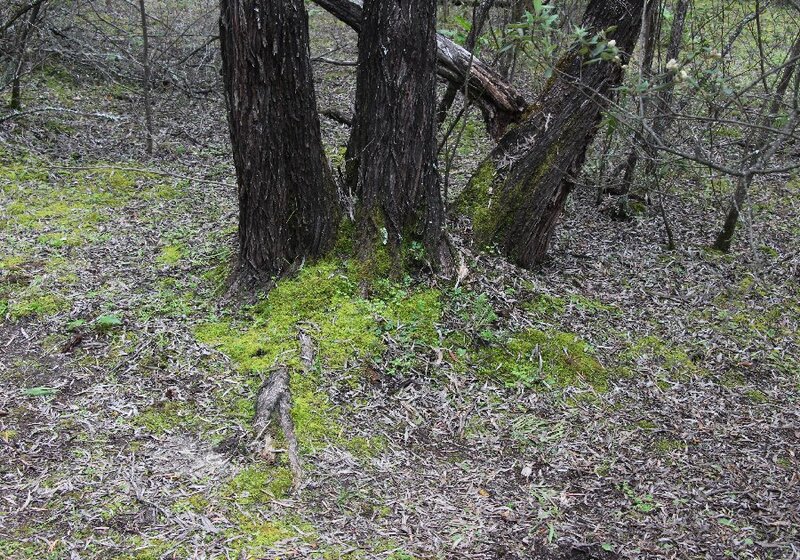 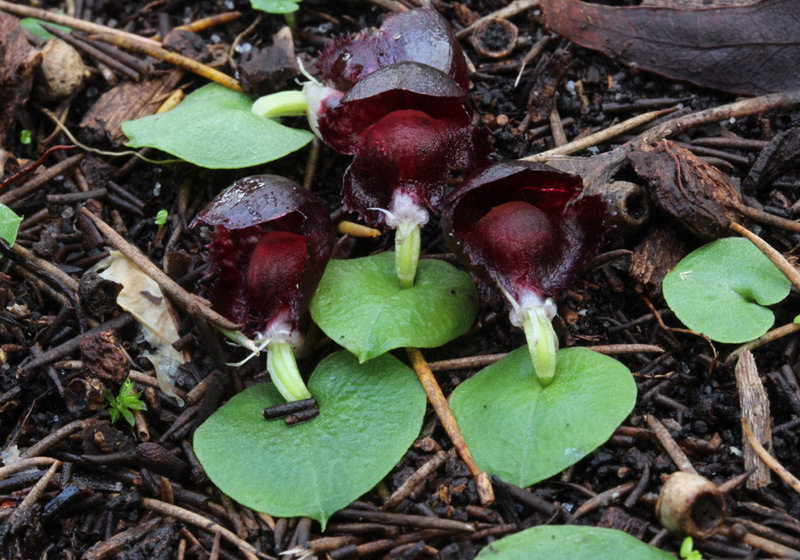 These orchids are found in moist areas and are often found on old rotting logs and stumps. 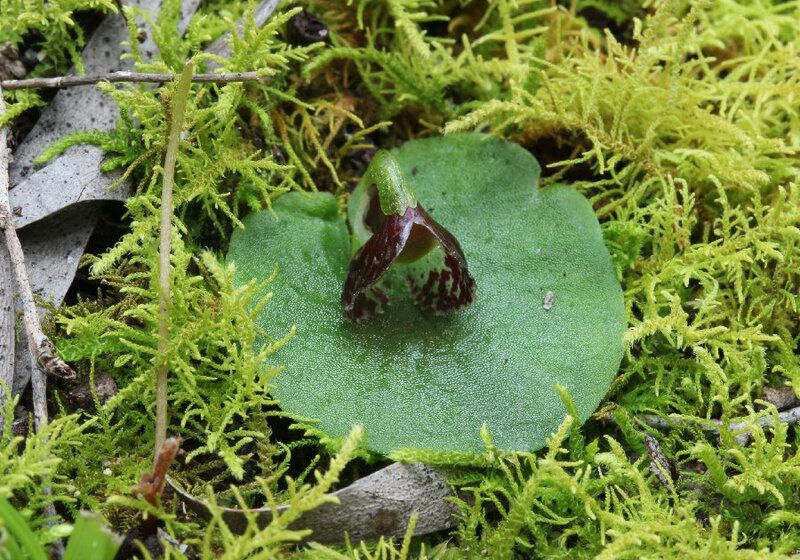 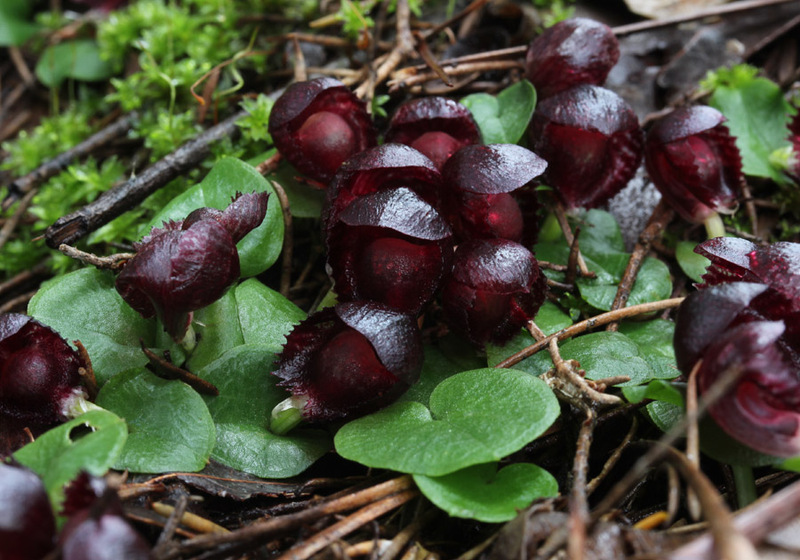 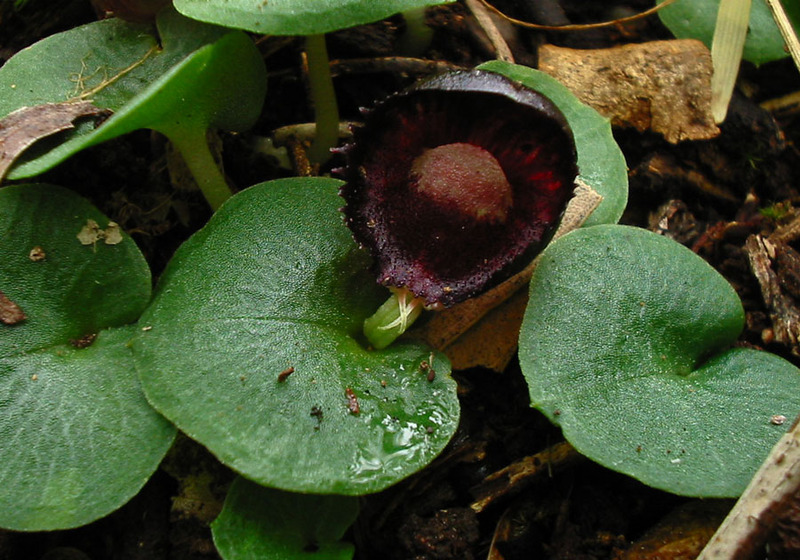 Corybas recurva is distinguished from other Helmet Orchid by its round, dark flowers. 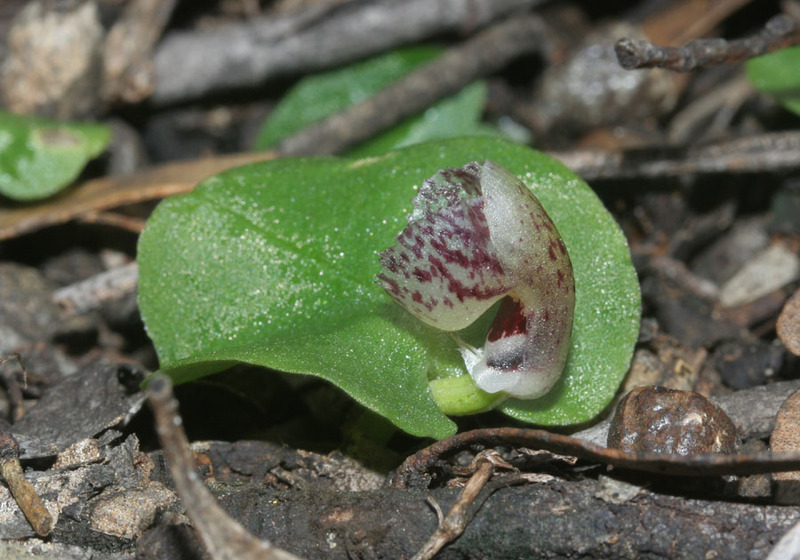 The main part of the flower consists of the labellum and the dorsal sepal. 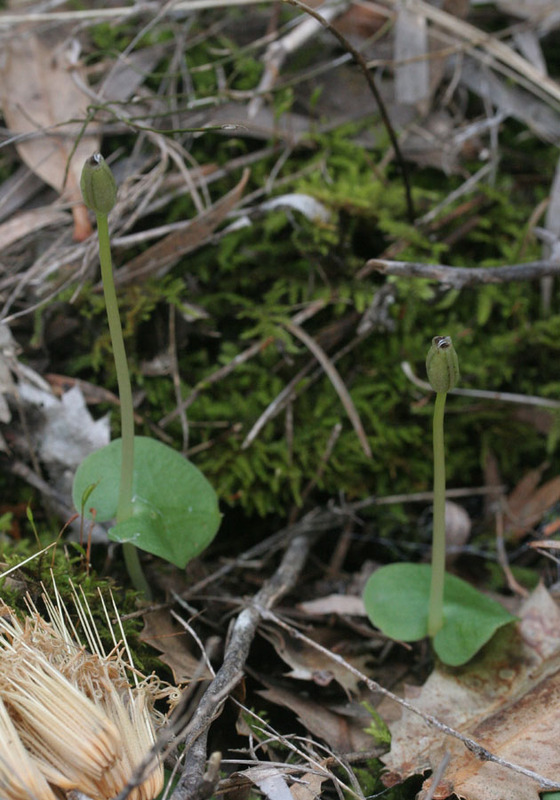 The other petals and sepals are reduced to tiny pale coloured bracts at the base of the flower. 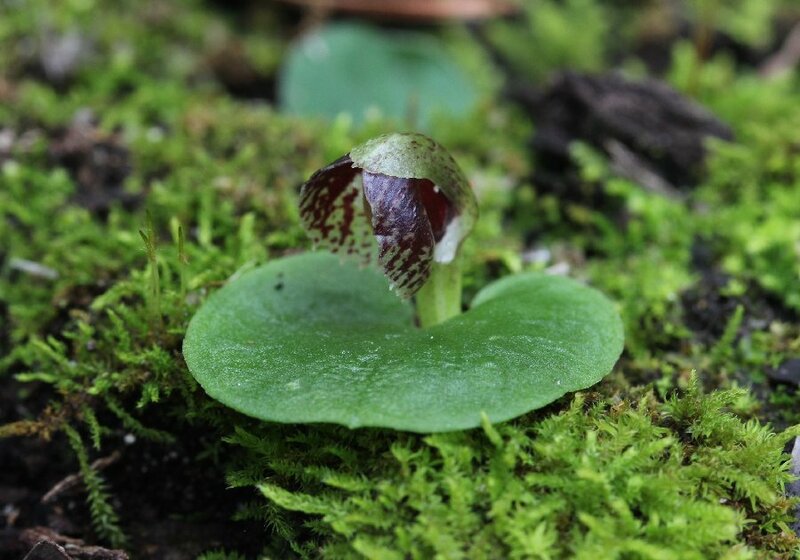 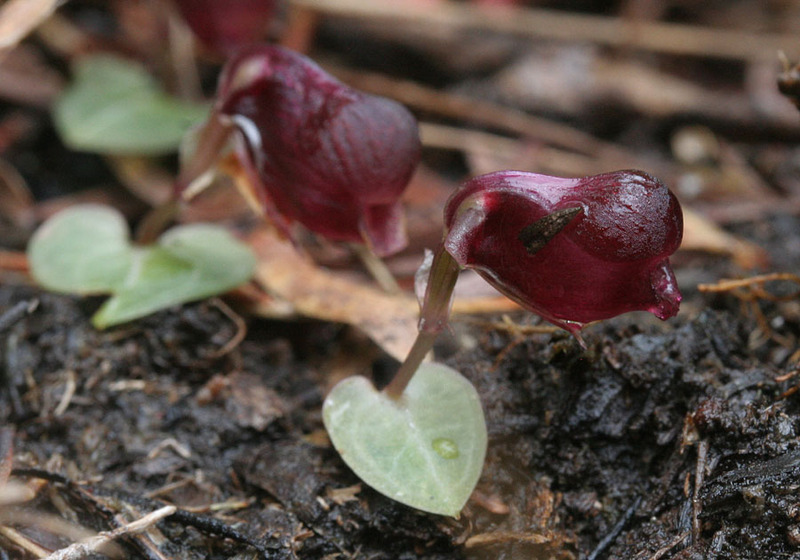 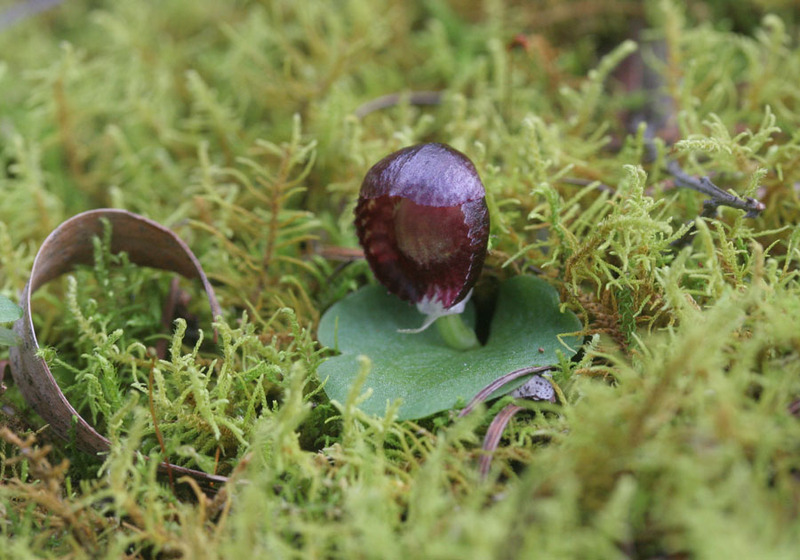 An interesting feature of Corybas is that after pollination, the flower stem lengthens up to 20cm before the seeds are released. 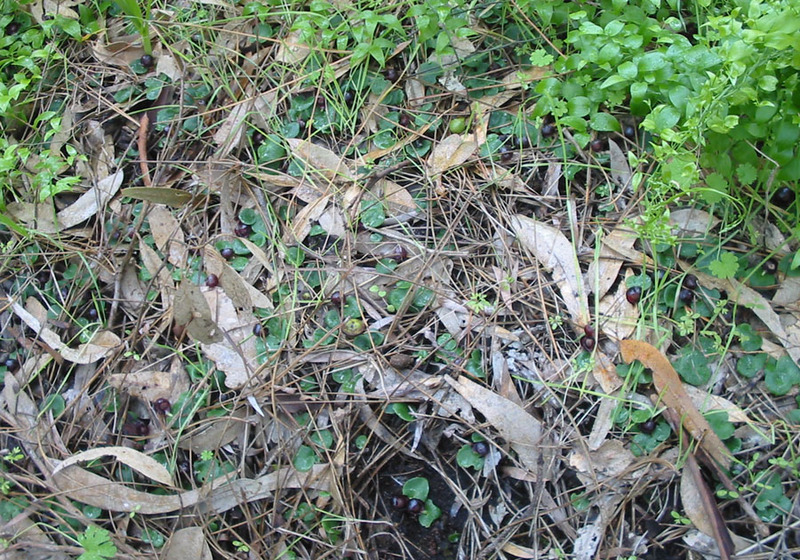 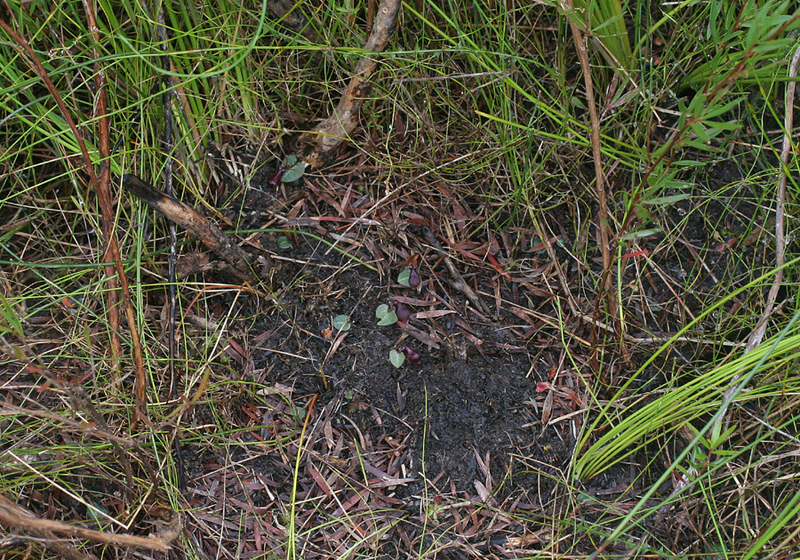 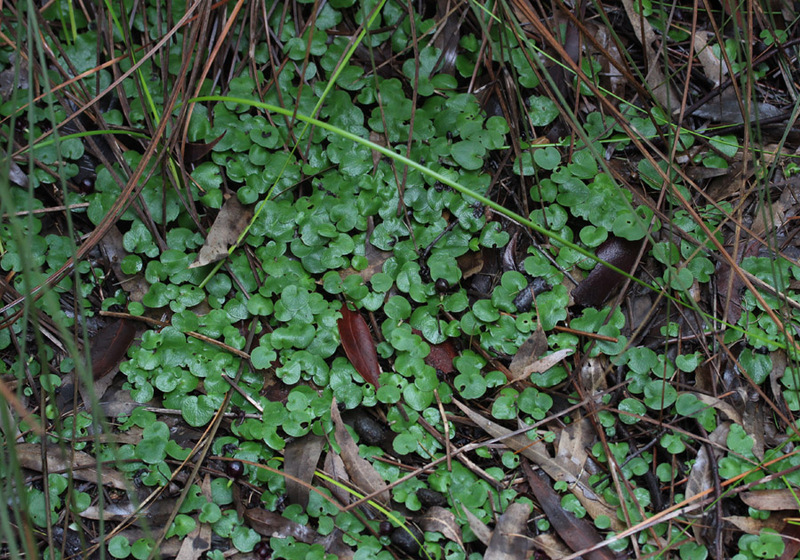 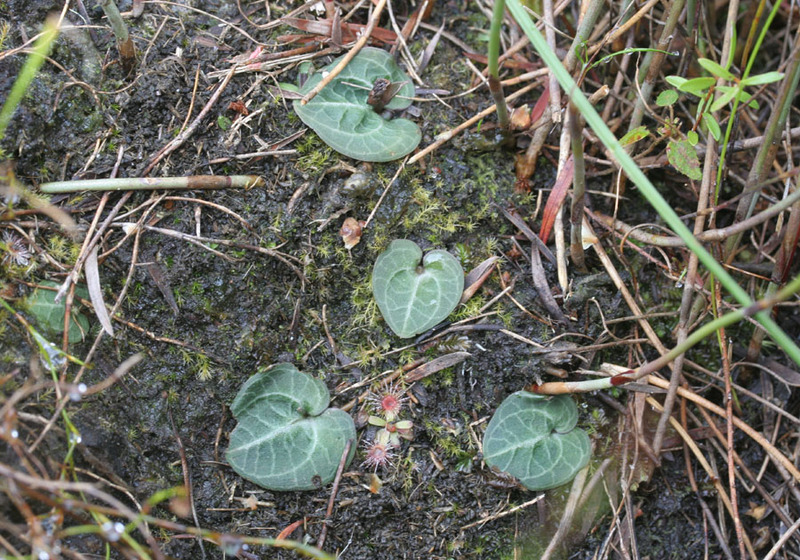 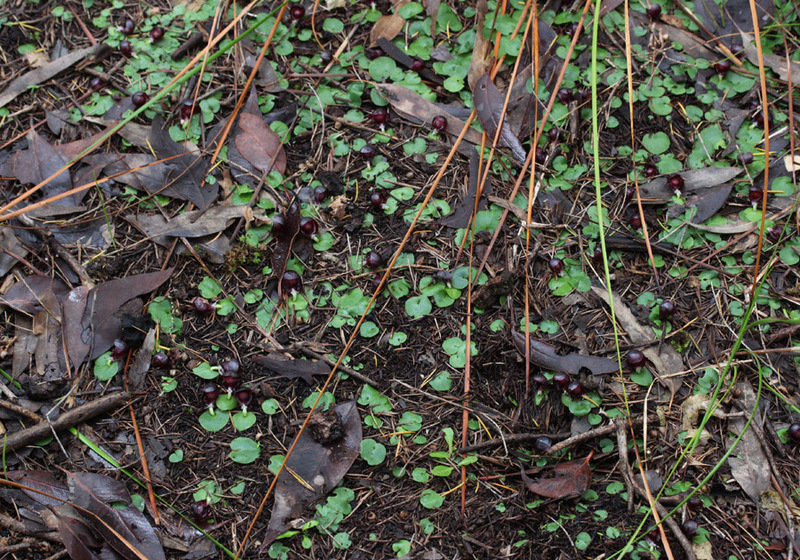 The photo above showing this was taken in late September and the stems have reached about 10cm. 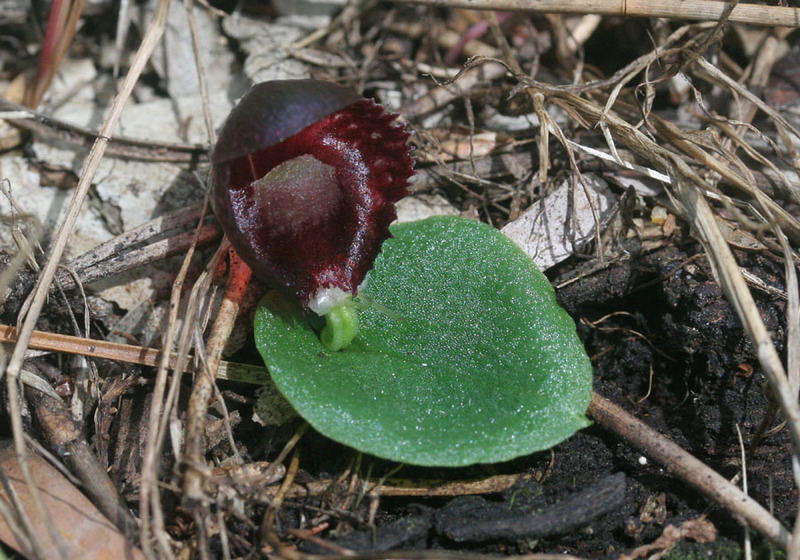 The Crystal Helmet Orchid is distinguished by its translucent flowers with red speckles. 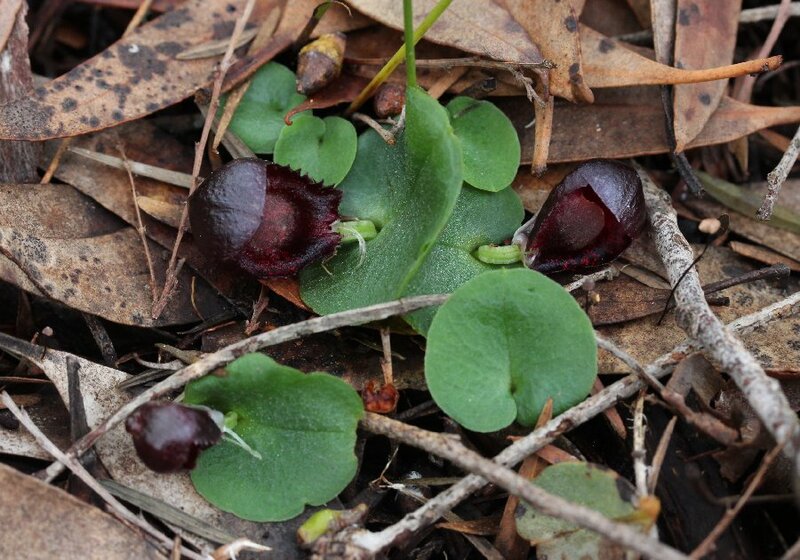 It is found along the south coast and the leaves can be found in huge numbers, with only a handful in flower. 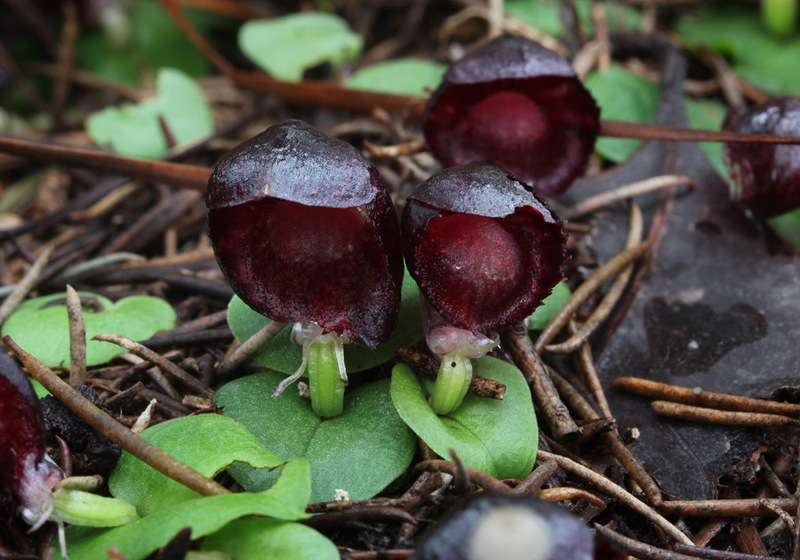 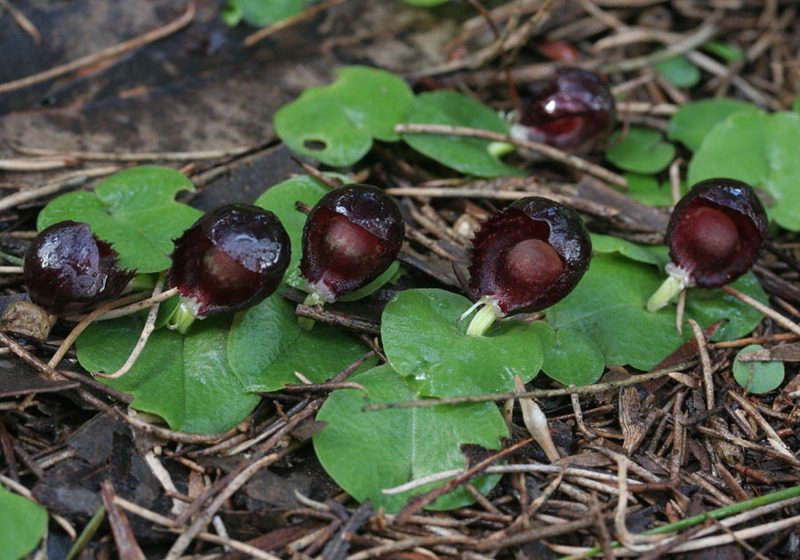 The Sandhill Helmet Orchid is distinguished from the similar Crystal Helmet Orchid by its darker red coloured flowers. 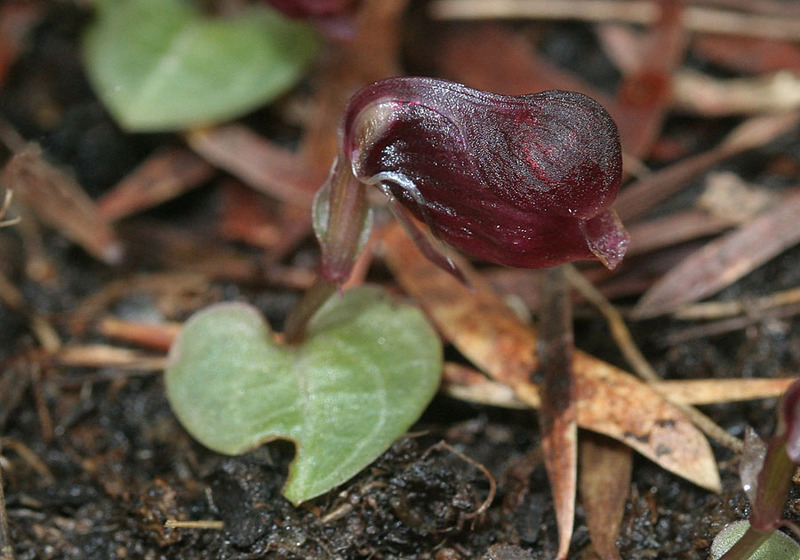 This orchid is also found in South Australia and Victoria. 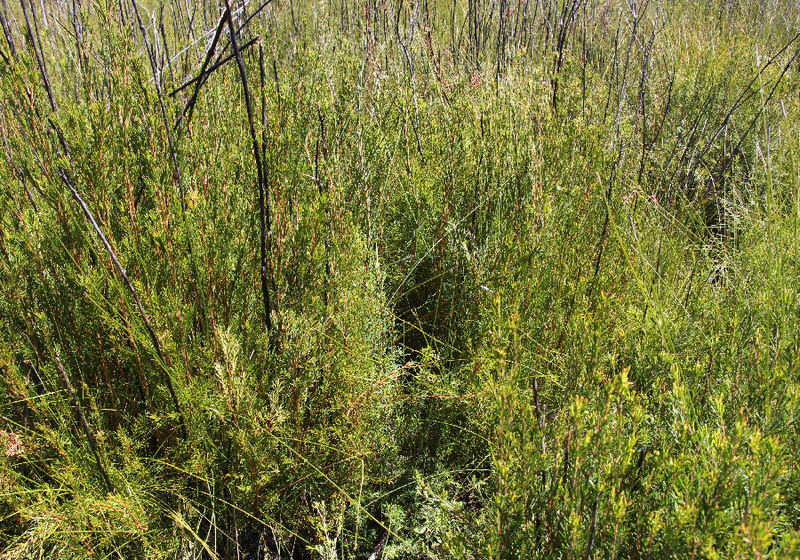 It is found in moist areas underneath dense scrub. 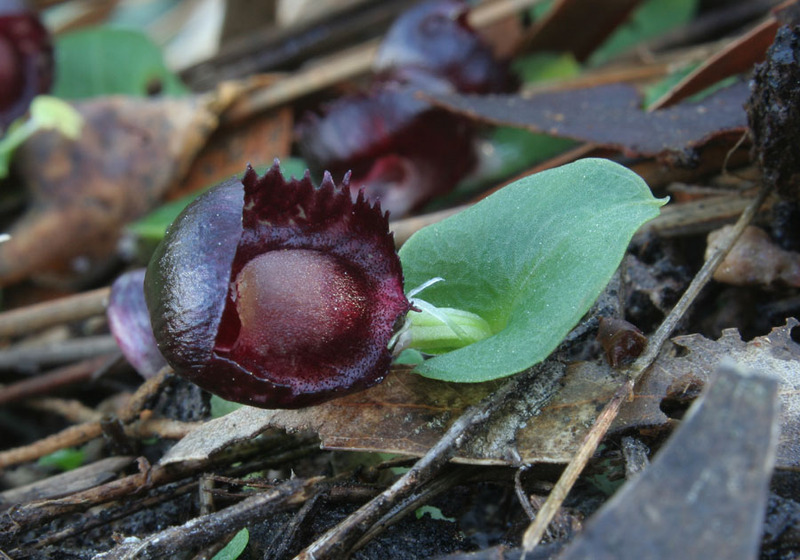 It flowers later than the 'normal' Helmet Orchid (C. recurva) from August to September. 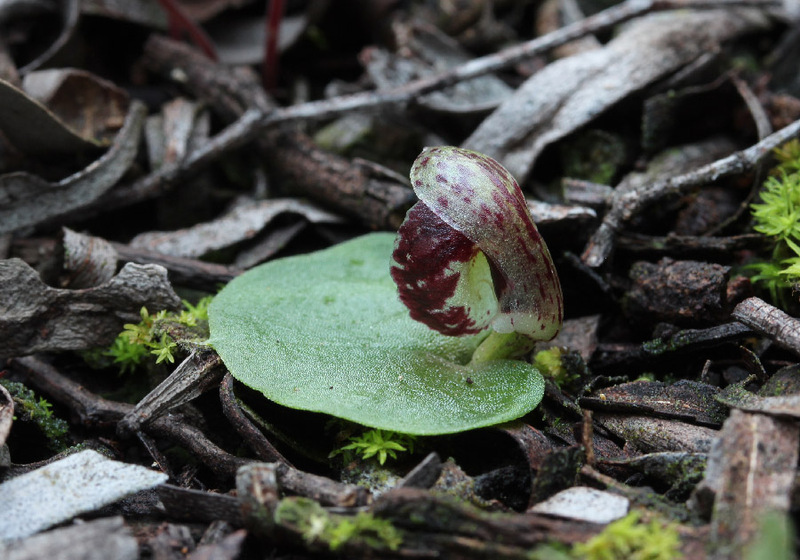 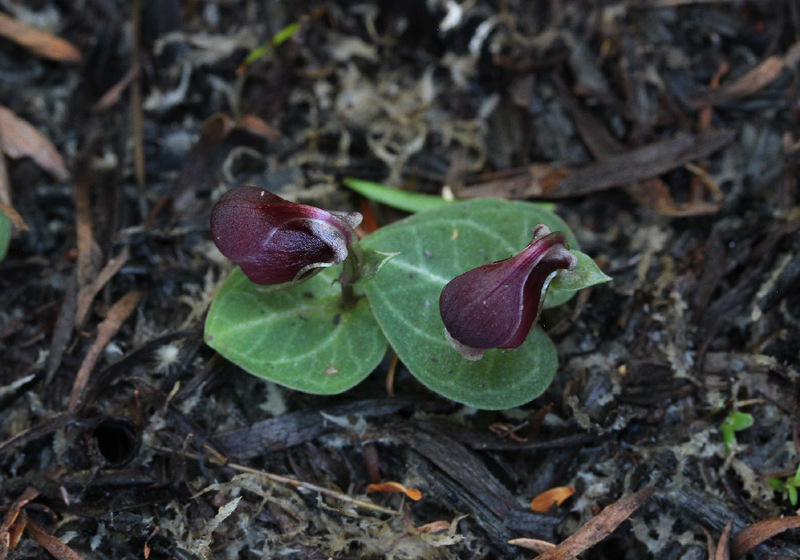 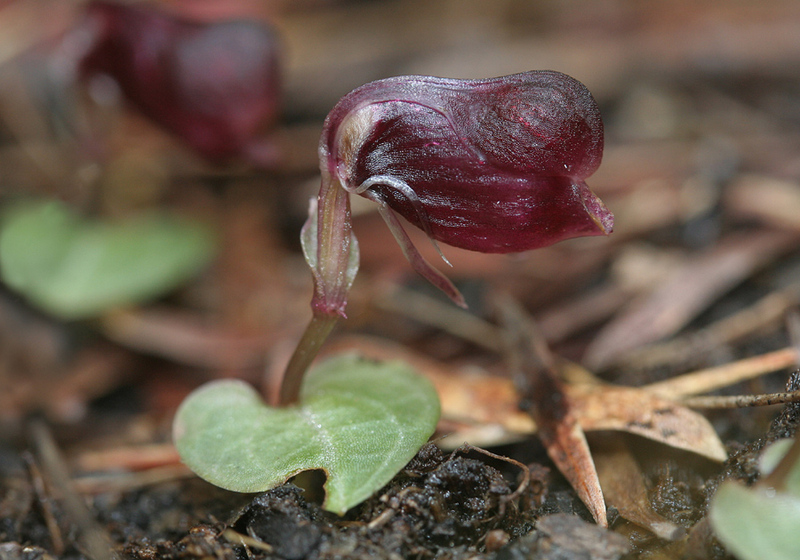 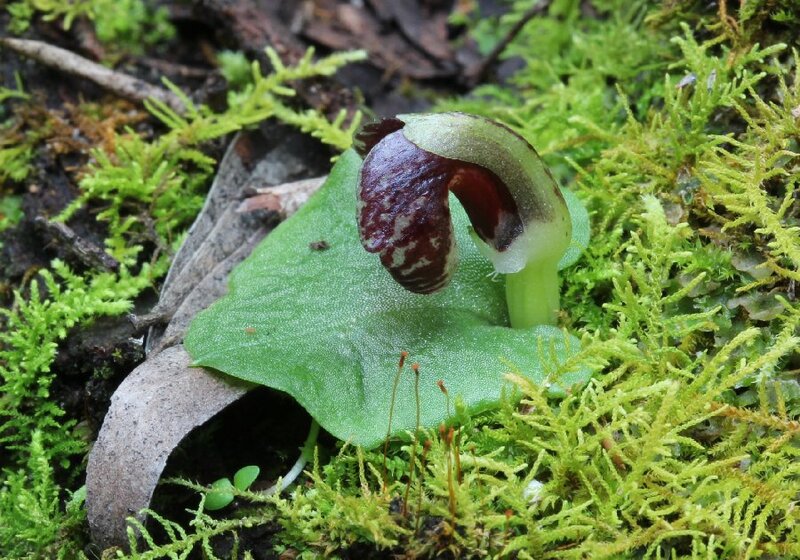 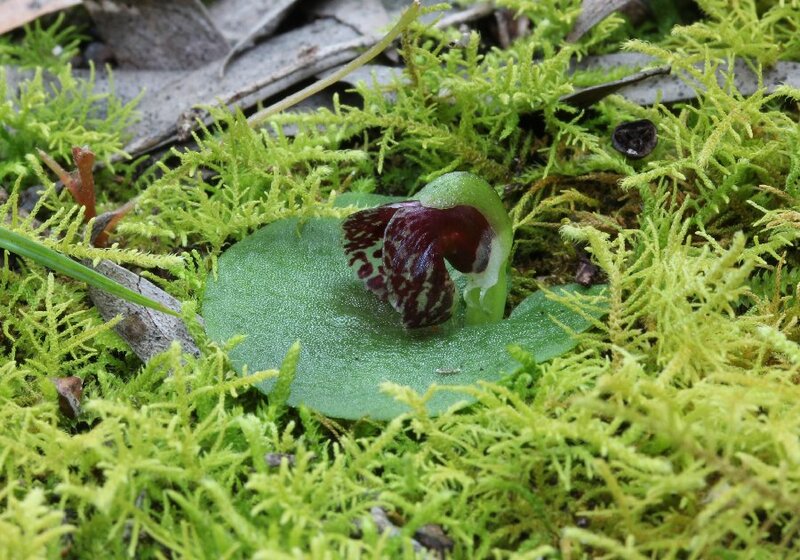 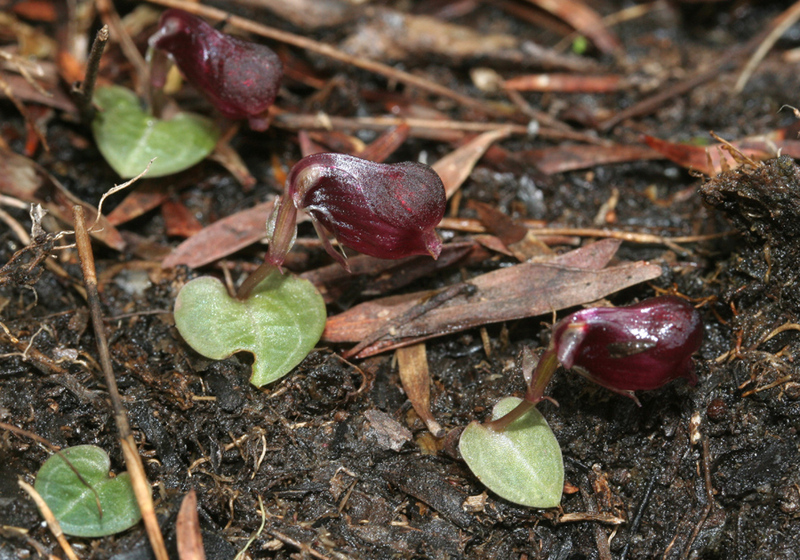 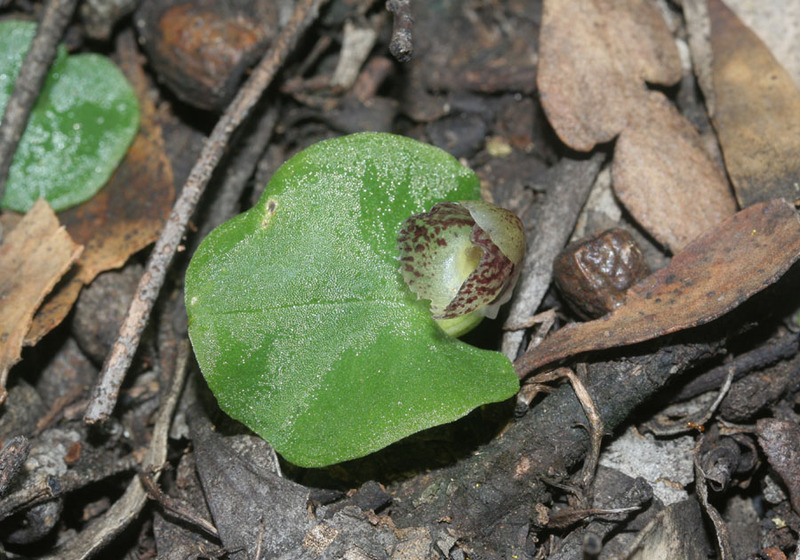 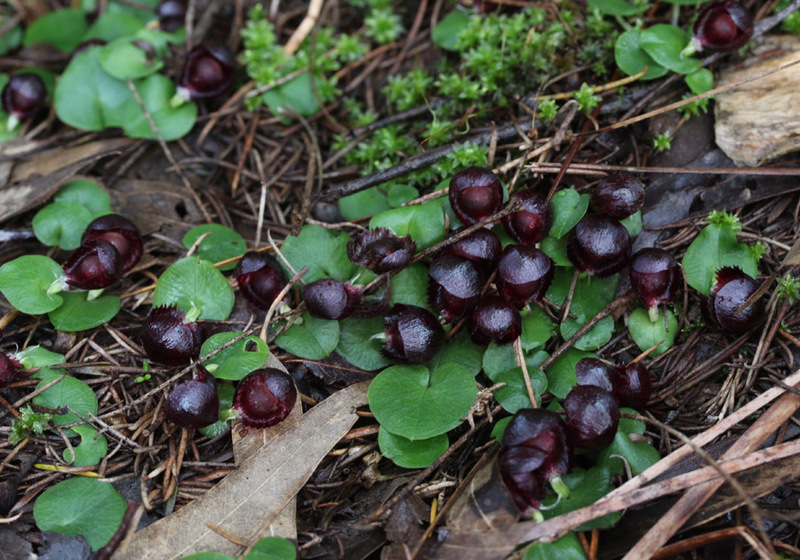 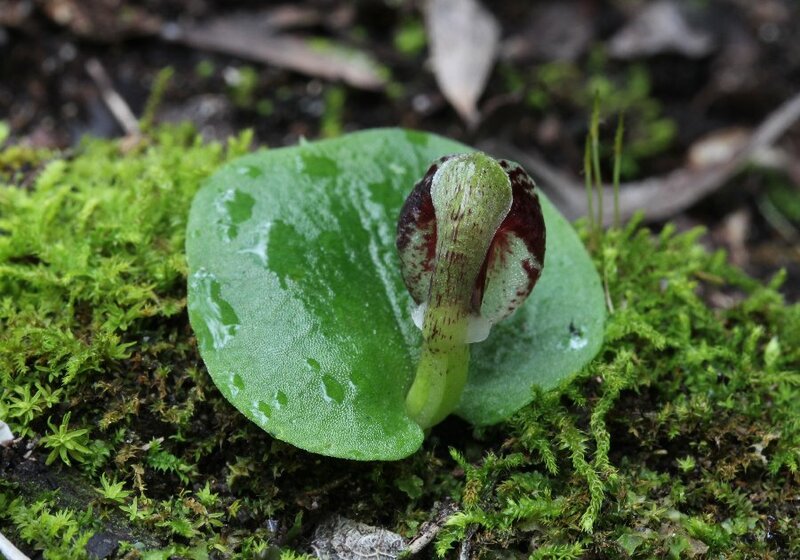 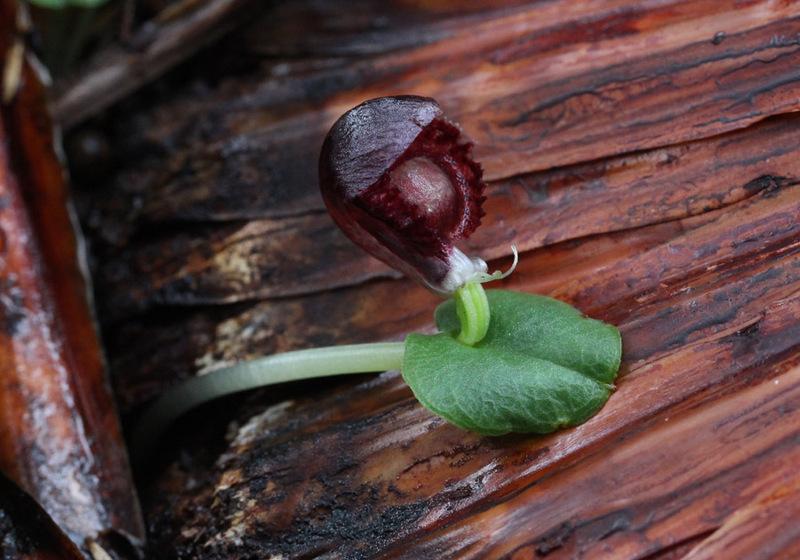 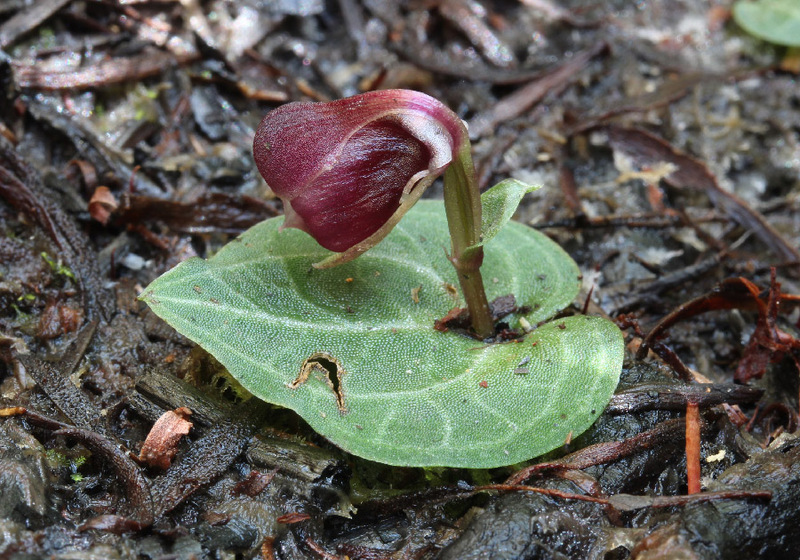 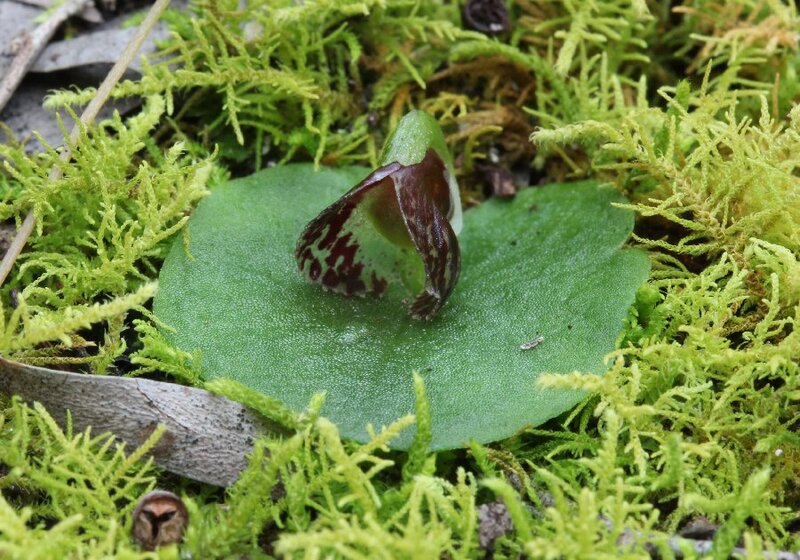 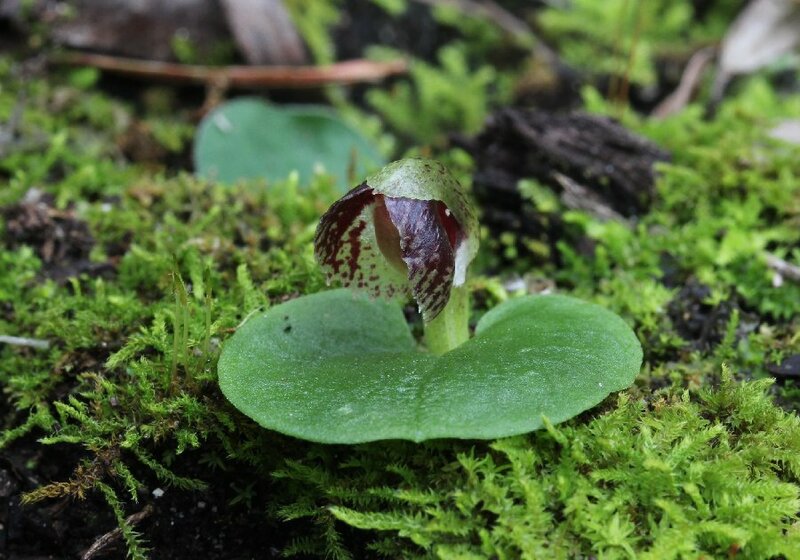 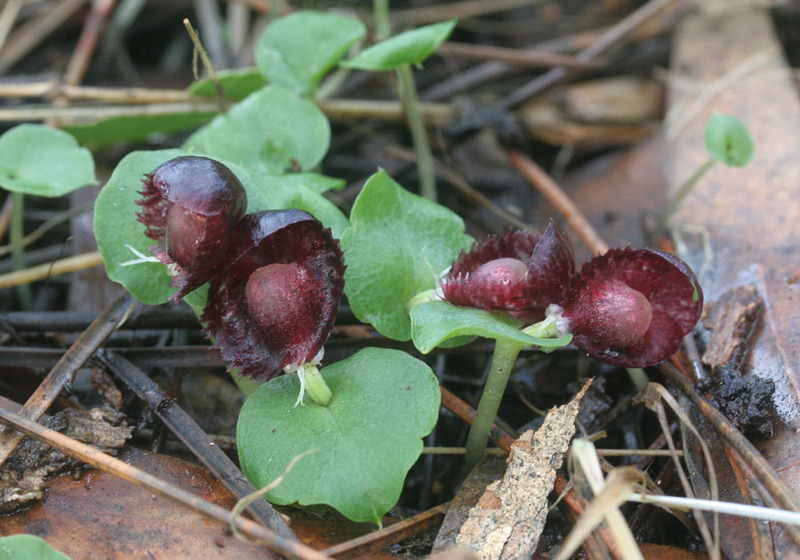 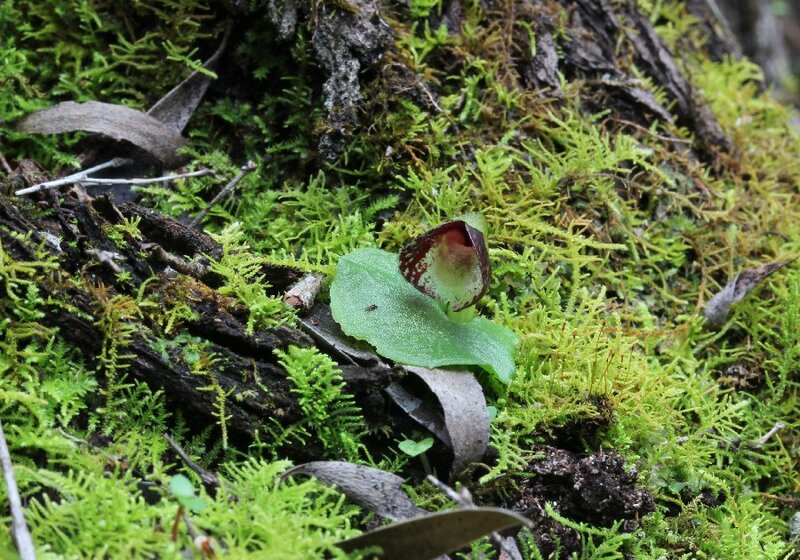 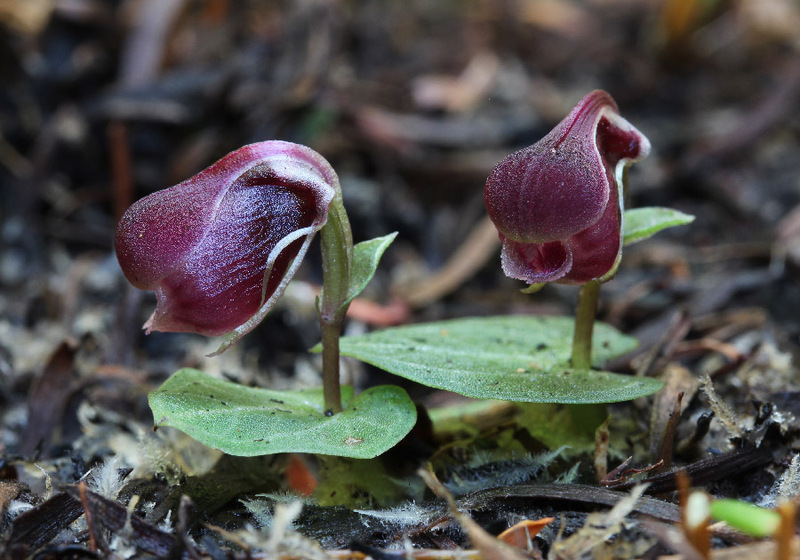 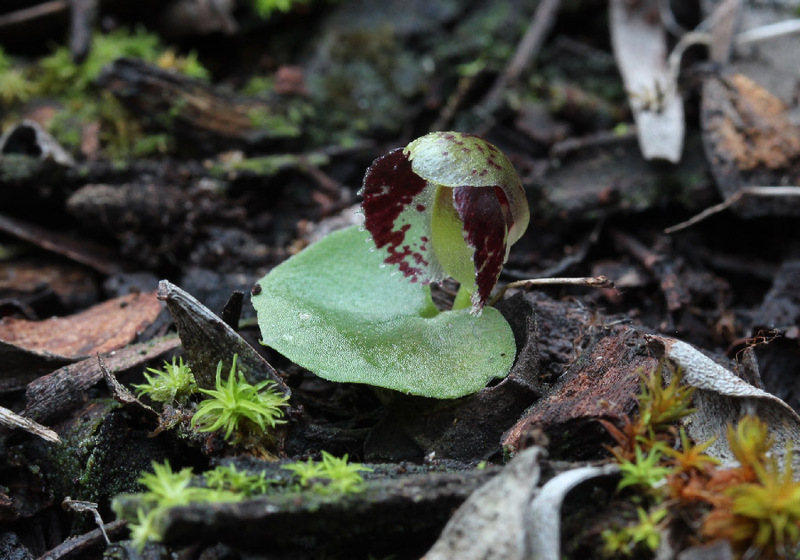 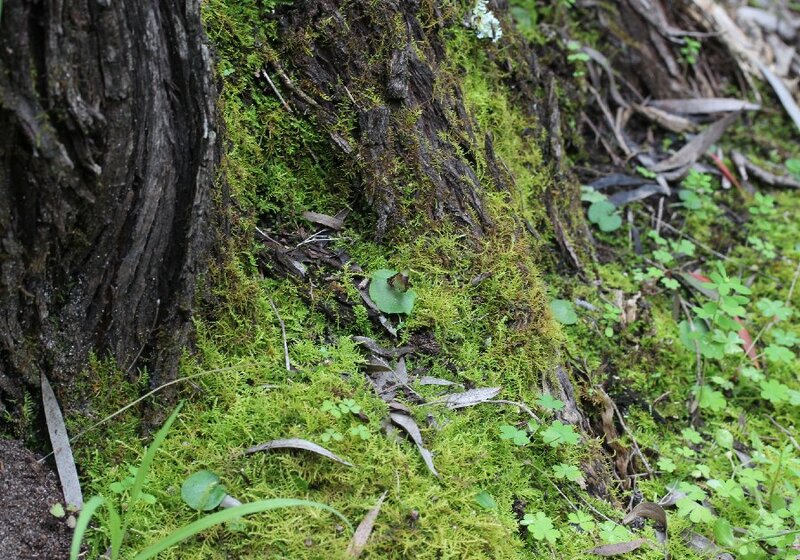 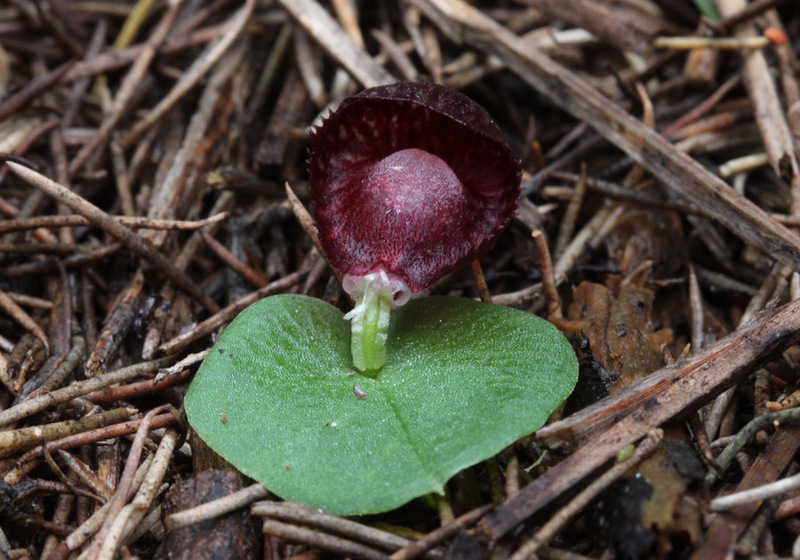 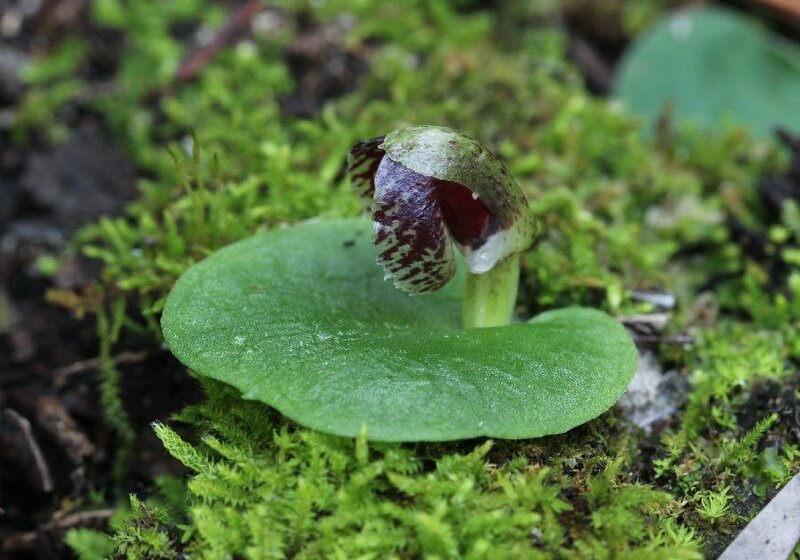 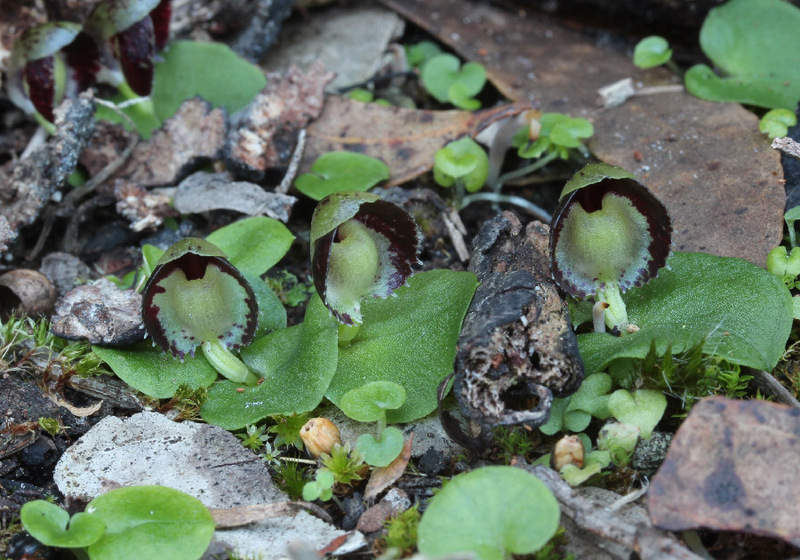 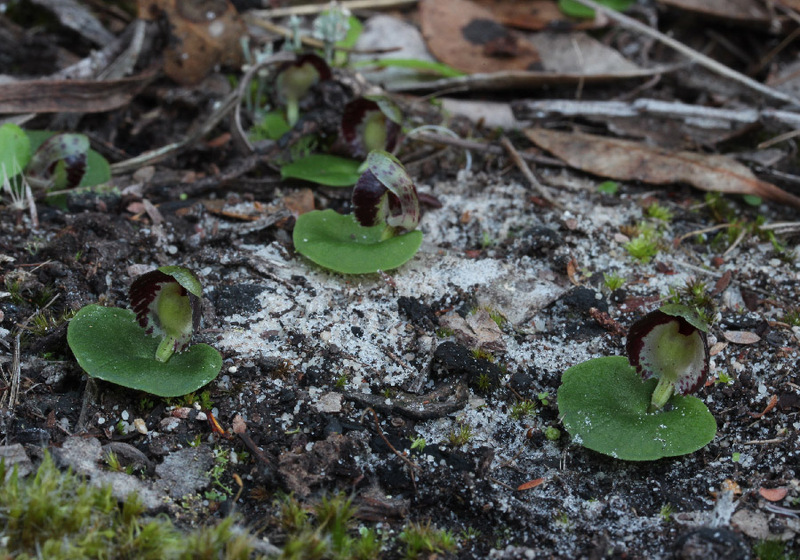 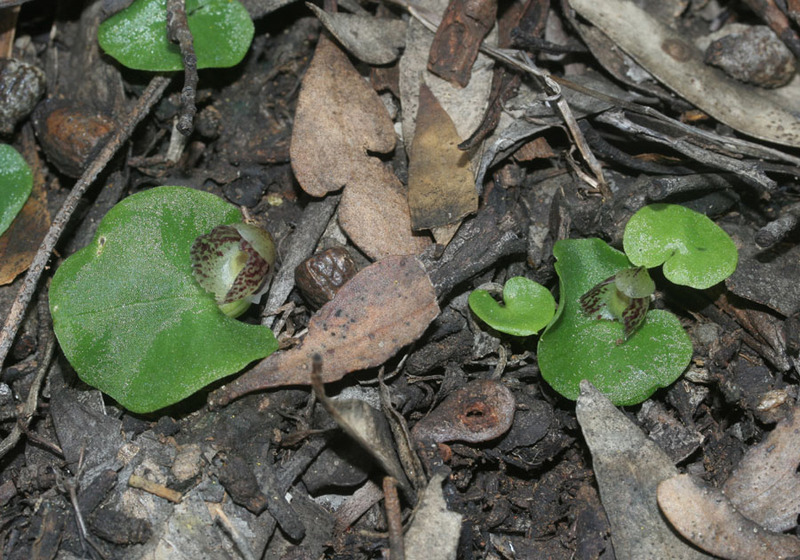 The Small Helmet Orchid is a rarely seen species and is substantially different in appearance to the other species of helmet orchids found in WA. 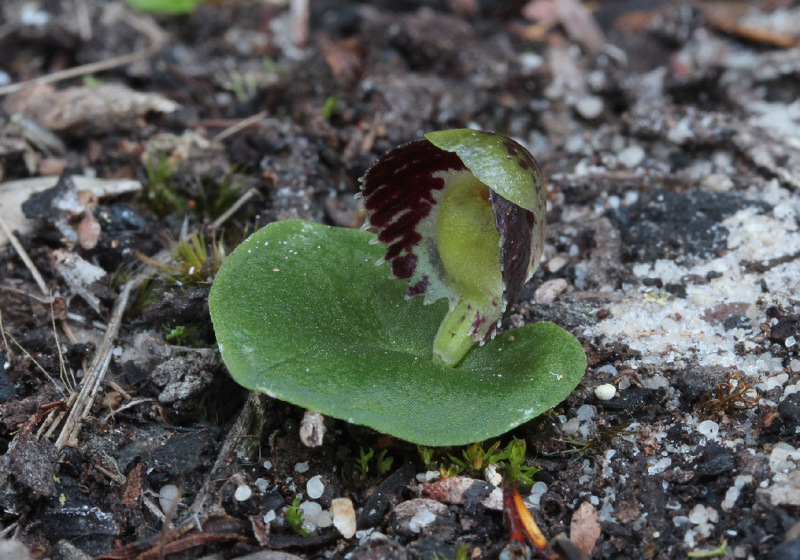 The flowers are tube shaped, the tube being formed by the labellum and the dorsal sepal. 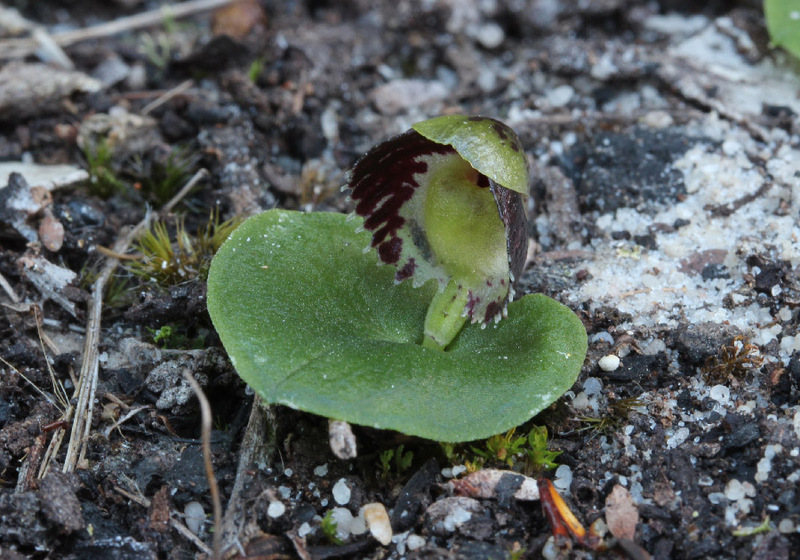 As in other helmet orchids the other petals and sepals are reduced to tiny filaments at the base of the flower. 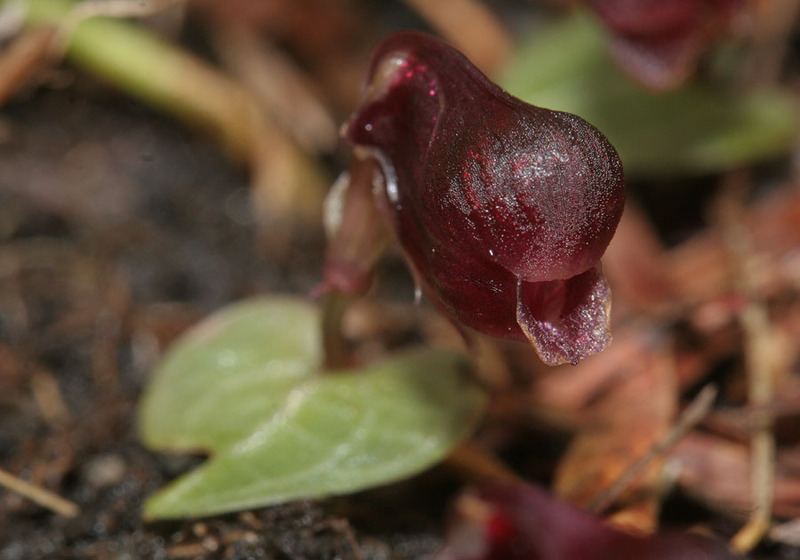 This orchid is found mainly along the south coast and occurs in dense scrub in swampy, peaty areas, usually in association with Ti Tree.